← Read Play Blog: What Video Game Would I Live In? Source: Blogging for Books & Crown Publishing – I received this in exchange for an honest review. The Fold is just what the summery tells you it is, a utterly gripping science fiction thriller. We follow Mike, a high school teacher, as he is pulled into a top secret expriement involving folding space so that it’s easy to cross in a matter of seconds…unfortunately it becomes incredibly apparent that this isn’t as safe as they hoped. Part of me loved this book, and another part of me was little underwhelmed by seconds of it. 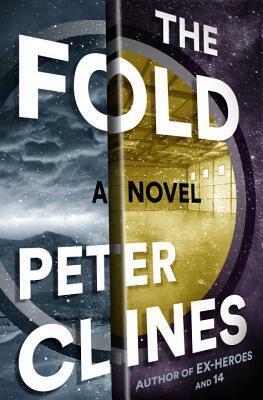 However my overall impression of The Fold is that this is what the sci-fi genre is really good for: fun, quickly paced, and plenty of twists. I definitely didn’t see a lot of this coming, and I don’t want to spoil exactly what goes own in the latter half of the book…but wow! The Fold touches on some existential questions but I wouldn’t call this an overly cerebral book, and it doesn’t delve into them too deeply. The whole project is really amazing, and I was fully expecting a pure paradoxical reality downfall and what I got was something slightly different and exciting. Without directly referencing it, I can definitely see some of his inspiration towards the end and I think it was a cool little nod to past literature. The ending was really interesting, and in true standalone sci-fi form left me with questions and wanting more. As I said before Eric “Mike” Leeland, is a high school teacher…but he’s more than a little qualified to be placed in such a project due to his eidetic memory. For those who don’t know, that’s the actual term for ‘photographic’ memory, once he sees/hears/smells/touches something it is ingrained in his memory permanently. He can learn quicker than most people and as a result his IQ is incredibly high. I really liked him, but I don’t think I really ‘know’ him. To be honest I don’t think he really knows who he is during most of this, seeing as most of the book is spent unless his mental ability which drowns out his personality in favor of knowledge. He takes the time to explain that, and I think without that sort of ‘meta’ confession I would have hated his lack of personality depth but I think I still would have liked to see some here and there. 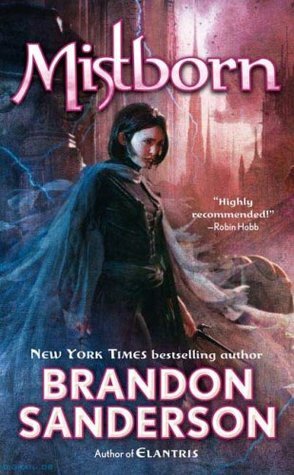 I have never read a book with a character with eidetic memory, so this was something really new and I really liked it. It’s not like Sheldon Coopers where he only uses it when the script dictates, this is an uncontrollable and insatiable need for constant input. That being said I have no idea if Peter Clines portrayed it accurately or not. I’ll definitely be keeping an eye out for more Peter Clines novels in the future! This entry was posted in Book Reviews (2015) and tagged 4 stars, review, sci-fi, thriller. Bookmark the permalink.